Hey there Romeos, my name is Darryl and I work in the Communications Dept. at PlanetRomeo. I’m primarily responsible for sending you inbox messages from PlanetRomeo (formerly Mother), start page announcements, and coordinating translation of the PlanetRomeo site with 24 different translators around the world. The site is currently available in English, Czech, German, Greek, Spanish, French, Hindi, Hungarian, Indonesian, Italian, Japanese, Korean, Malay, Dutch, Polish, Portuguese, Romanian, Russian, Serbian, Swedish, Thai, Tagalog, Turkish, Vietnamese, and Chinese. Translating a site into multiple languages may sound pretty simple but it can sometimes be a time consuming process in both the preparation and the translation. We also often get asked to add languages to the site but adding new languages is costly and labor intensive. It requires having a translator begin with translating all the existing text into that language, keeping with the existing style and tone of the site. A daunting task to say the least! The PlanetRomeo site currently contains over 15,000 strings of text containing over 1,000,000 characters. A string can be one word to several paragraphs. By comparison, the book “Gone with the Wind” contains 423,575 words in 27,472 sentences and 2,336,367 characters. To quote Nataly Kelly: “Not everyone who knows how to write can be a writer. 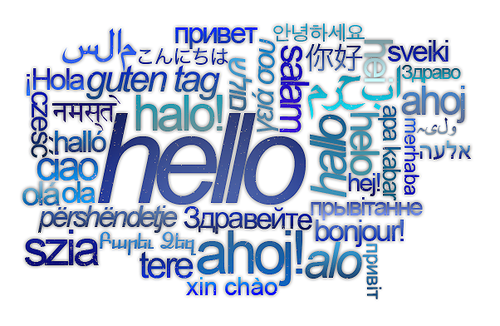 Not everyone who knows two languages can be a translator.” Later on in this blog, I’ll introduce you to the members of the translating machine that sit behind PlanetRomeo.